​​​​​​​Heather grew up in Syracuse and worked through high school with Dr. Allen at the small animal clinic that used to be on section street here in Milford. 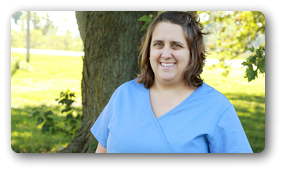 She graduated from Wawasee High School and went on to graduate from Purdue University as a Veterinary Technician in 1995. She then took a position in a clinic in Laurel MT. Heather loves the west, the mountains and the way of life there and hopes one day to return to live there. She currently lives in Warsaw. She started at Milford the spring of 2011. She has 5 dogs Pinnie , Squirrel, Bea Arthur, Rue McClanahan and Boone, 3 Cats Tuffy, Pumpkin and Old Cat. Heather enjoys reading, crafting, sewing, beading, and gardening. 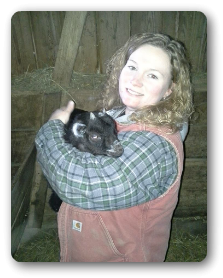 Jess is 2006 graduate of Purdue's Veterinary Technology Program. 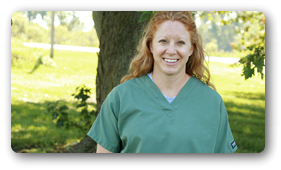 Upon graduation with her bachelor's degree, she moved to northern Indiana to work for an equine practice. While Jess still enjoys equine medicine, she feels very blessed to have a chance to work with all species, large and small at Milford since October 2013, Jess enjoys the balance of production and companion animal medicine that the clinic provides to their clients. Along with her husband, Joe, and young son Jobie, she calls Larwill home. They have a small collection of horses and dogs. In her free time , Jess enjoys spending time outisde, reading, working on sewing or crafting projects and completeing crossword puzzles.